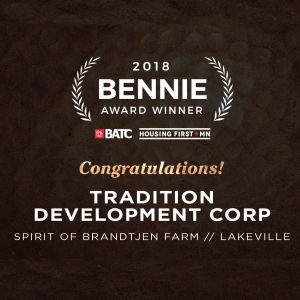 Spirit of Brandtjen Farm is a unique place to call home. The neighborhood’s “front porch living” design allows its residents to feel a true sense of community. Spirit embodies a rich sense of history stemming from the Brandtjen Family’s roots; the cow barn has been restored with the original California redwood and stands as a gathering area for the neighbor’s friends and family to gather in year-round. Every home site is situated to enjoy the wildlife, with its abundance of open space including miles of trails, lakes, picnic area, fire pits, and playground. Enjoy the workout facilities or take dip in the pools during the summer to cool off. Located in the award-winning Rosemount-Apple Valley-Eagan School District (ISD 196), the neighborhood is close to grocery stores, recreation, and entertainment. Experience the craftsmanship and quality of our hand selected new home builders by visiting their models, open daily from noon to 5pm. 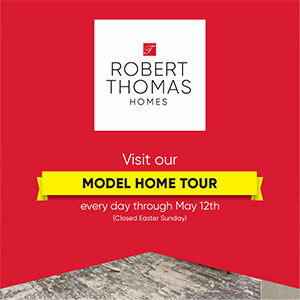 Tour 11 exceptional showcase model homes in the Spirit of Brandtjen Farm community every day through May 12th from 12-5pm. Click below to download the Tour Guide today! 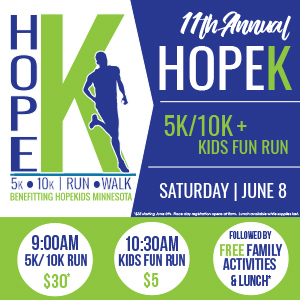 Join in on the FUN for the 11th Annual HopeKids 5K-10K-Kids Fun Run in Spirit of Brandtjen Farm!